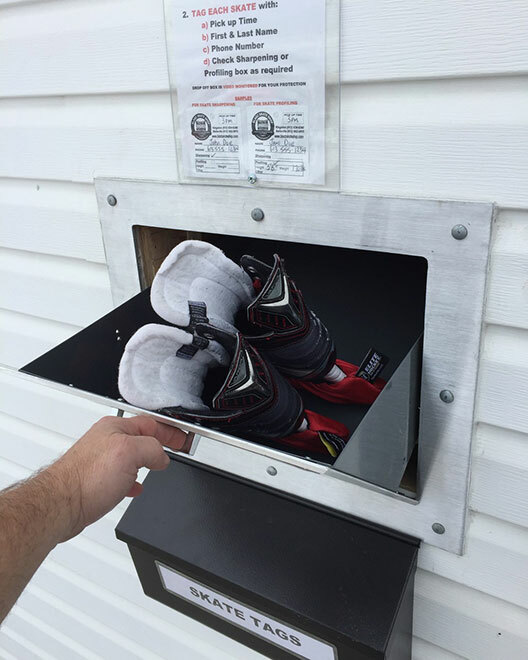 Kingston Bladz was established in 2011 when Terry moved to Kingston, Ontario. 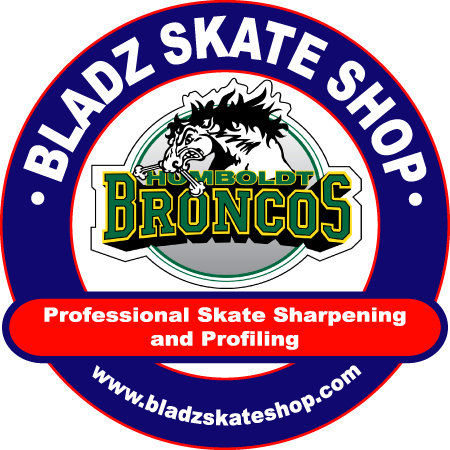 Kingston Bladz quickly became a consistent and professional skate sharpening service for Kingston & the surrounding area. 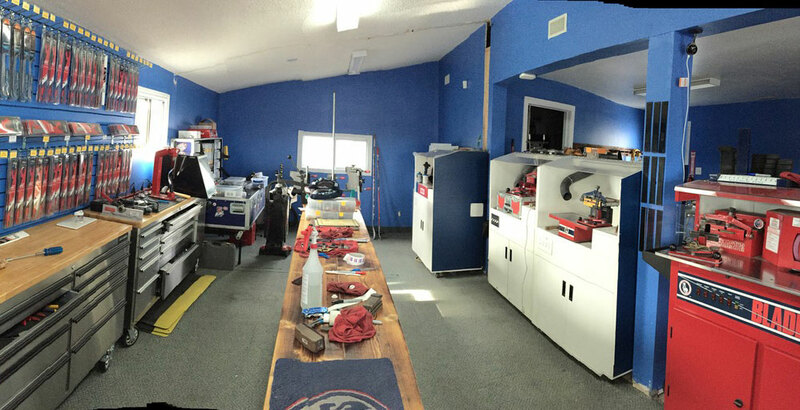 From 2012 -2015 the Kingston Voyageurs approached Terry to provide skate sharpening and maintenance to their JRA club. In 2015, Terry was selected to work with the Team Canada Cup East JRA selection camp. From 2015-2017 Terry worked with the RMC Paladins in the Ontario University Athletics and is now back with the Kingston Voyageurs for the 2017-2018 season. While in Kingston, he has worked with players from Washington Capitals, Toronto Maple Leafs, Arizona Coyotes, Florida Panthers, Kingston Frontenacs, Kingston Voyageurs Jr A Club, RMC, Queens and Smith Falls and Brockville Braves. He works closely with many players from Novice to JRA around this area. Terry also works with instructors and skaters from Fineline, ITG Hockey Solutions, John Boultby power skating and training clubs. Figure skaters and instructors from Skate Kingston, Fort Henry Heights and many skating clubs between Brockville and Trenton, would travel to Toronto or Ottawa for sharpening before we arrived. From 2015-2017 Terry worked with the RMC Paladins in the Ontario University Athletics. WELCOME BACK TO HOCKEY SPECIALS! WE ARE NOW ON WINTER HOURS! HOWIES APPAREL BLOWOUT! OVER 50% OFF! WE ARE NOW A TRUE HOCKEY CUSTOM SKATE FIT CENTRE! The first time my dad sharpened my skates at Bladz Skate Shop, I loved it! The blade does not have a deep hollow and it feels like you have no edge, but when you cut the ice it is there. I can stop on one leg with my outside edge, that’s how good the sharpening is. A long time ago I would go to other places that sharpened my skates, and it seems they would rocker my skates and there was a shorter amount of blade on the ice. Dear Bob @ Maximum Edge, Windsor. You worked on my skates last fall in Madison, Wisconsin. Thank you for your help, your technique has improved my skating. After finishing school at Madison, I moved to Edmonton to train and play in the NWHL. I had major problems with the people who sharpened my skates…I could not even stand. The person had taken both ends off my blades.